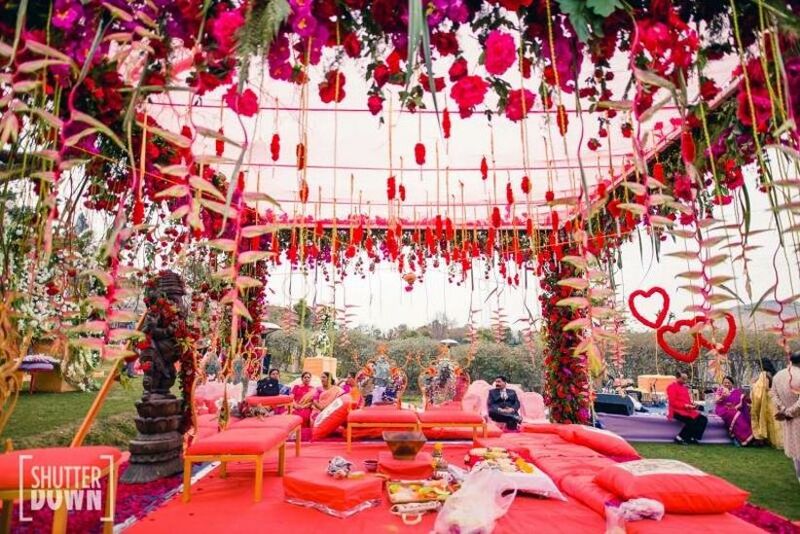 12 Awe-Inspiring Wedding Mandap Decoration with Flowers You Wouldn't Want to Take Your Eyes Off | Wedding Tips ARE YOU A VENDOR? 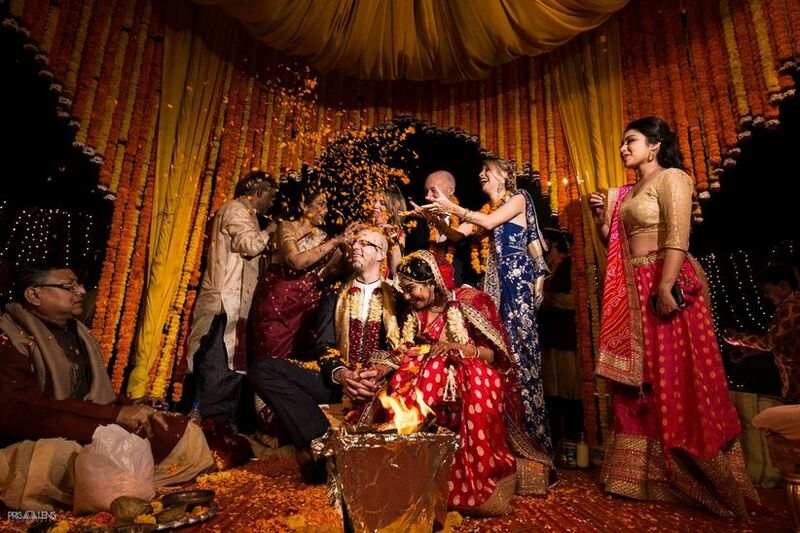 Traditional or contemporary, Indian weddings are never complete without the lavish use of flowers. Here are some ideas to beautify your wedding mandap decoration with flowers while keeping your budget, colour palette and style in check. 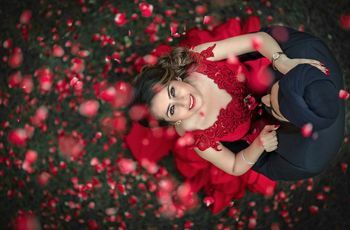 What's more beautiful than getting married to the love of your life? 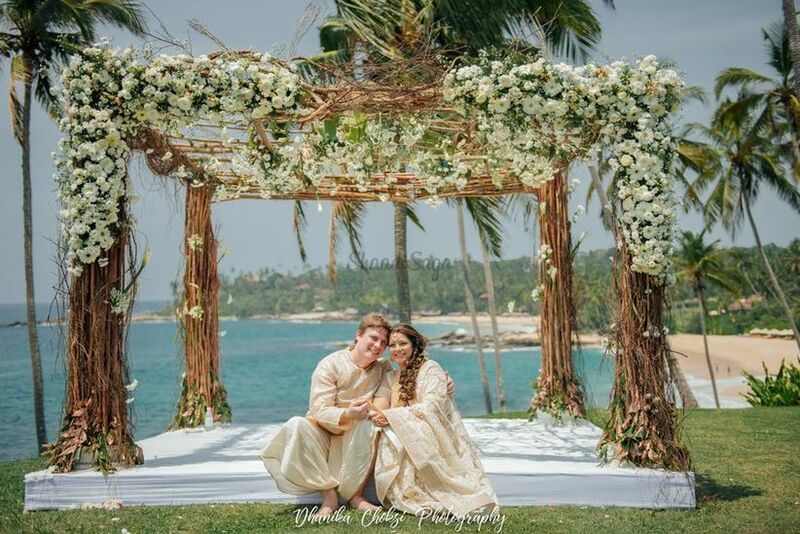 It’s getting married to them in an enchanting wedding mandap! 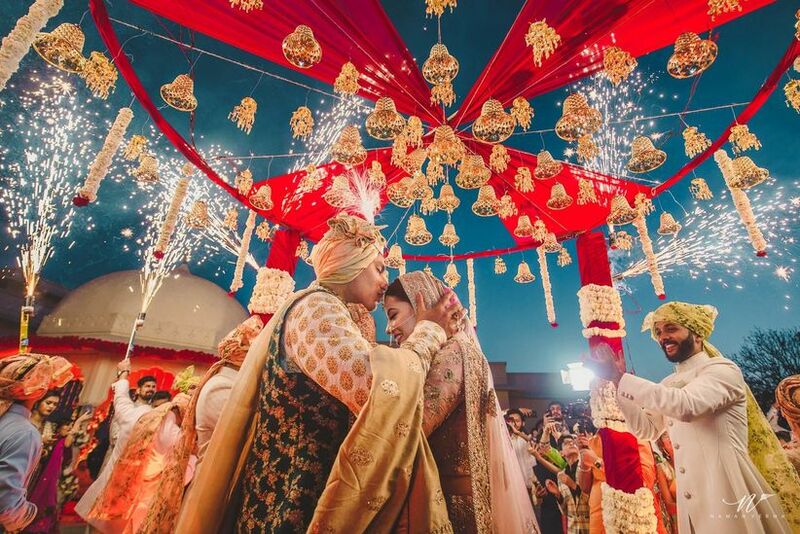 Whenever you'll reminisce your wedding, you'll surely day-dream about the beauty of your mandap where you became man and wife. Picking perfect wedding mandap decoration with flowers while keeping your budget, colour palette and style in mind, is crucial. 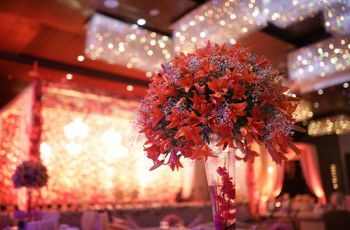 If you have not been able to finalise the mandap yet, here are some stunning floral decoration ideas. Floral installations, strings and hangings are very versatile, hence suitable for all types of budgets and themes. 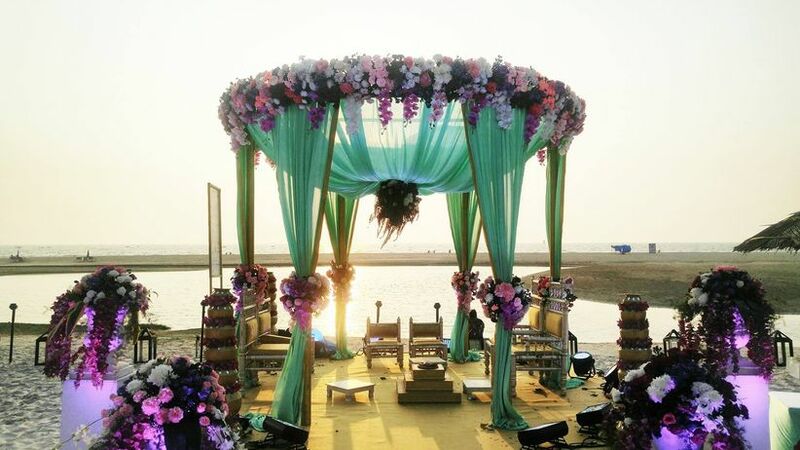 From minimalist to extravagant, all types of wedding mandap decoration with flowers can be created with this idea. The use of carnations, red roses and pink cosmos is pretty evident in this look but you can also opt for chrysanthemum, brassicas and tulips. 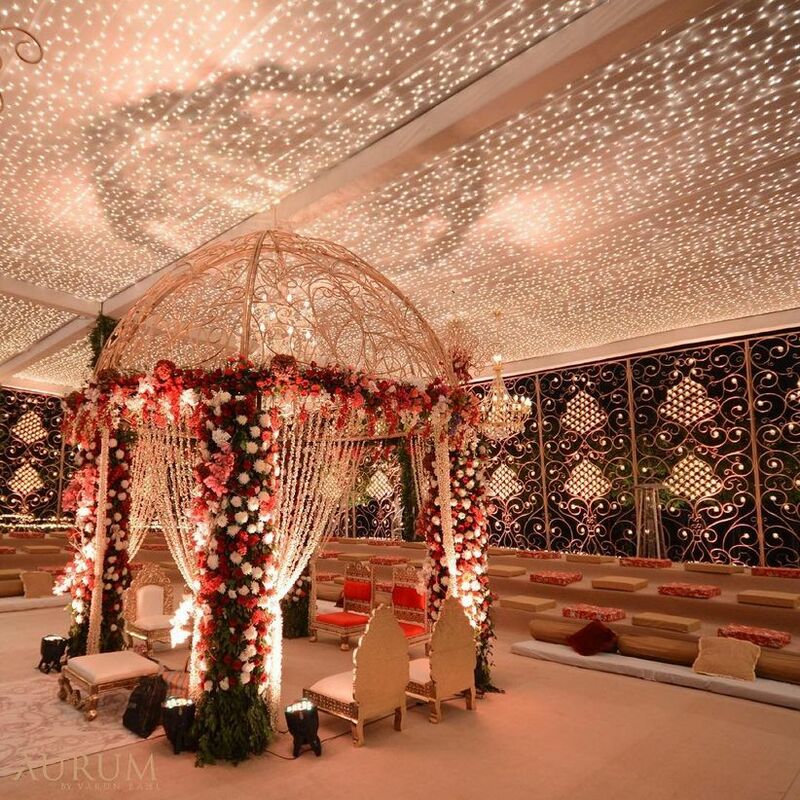 Fairy lights are known to add a mystic touch to any setting, including wedding mandap decoration with flowers. Mix and match warm-toned fairy lights with red and orange floral installations to create a masterpiece. To replicate this look, opt for carnations, roses and fresh leaves. 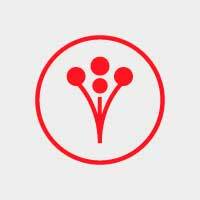 Other excellent options are peonies, orchids and brassicas. 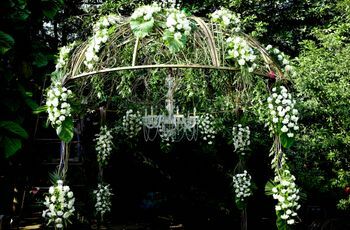 Elegant chandelier or Jhoomar style floral installations are very popular these days. They are not only, a feast for the eyes but help depicts your extravagant taste as well. The decorator has used blush pink roses and ranunculus but other amazing options are bunches of greens, gardenia, peony, hydrangeas and Polianthes tuberose. Spirituality, serenity, prosperity and new beginnings - the Ganesha figure depicts all these factors beautifully. Apt for the day as well as night Pheras, this Ganesha wedding mandap decoration with flowers is heavy on roses, African daisies, hydrangeas, and carnations. 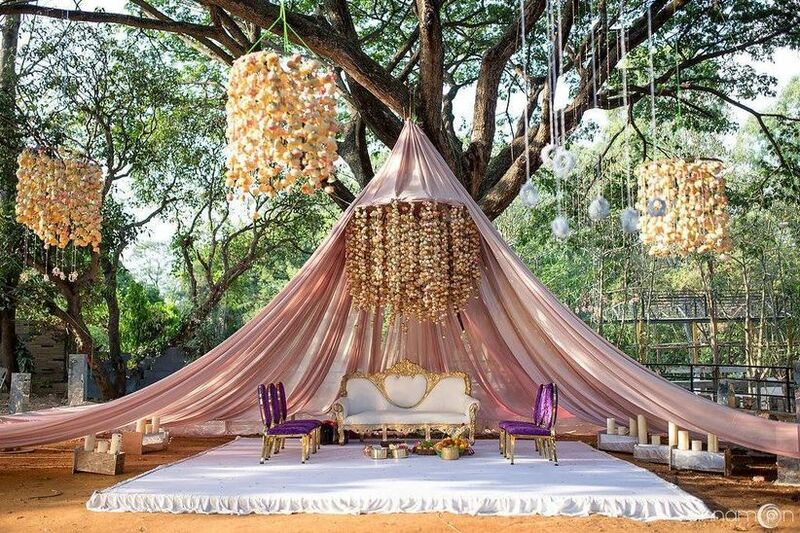 This mandap look can be recreated with the unrestricted use of gardenias, peonies, sweet peas and freesia, too. Add a classic Indian vibe to your wedding mandap with the evergreen yellow Indian marigold or Genda flowers. Super cheap yet super elegant, these sweetly fragrant flowers can be used in abundance to create a grand but budget-friendly mandap. The replacement of Genda? Well, why would you need one! Indoor weddings can be stylish and magnificent too. 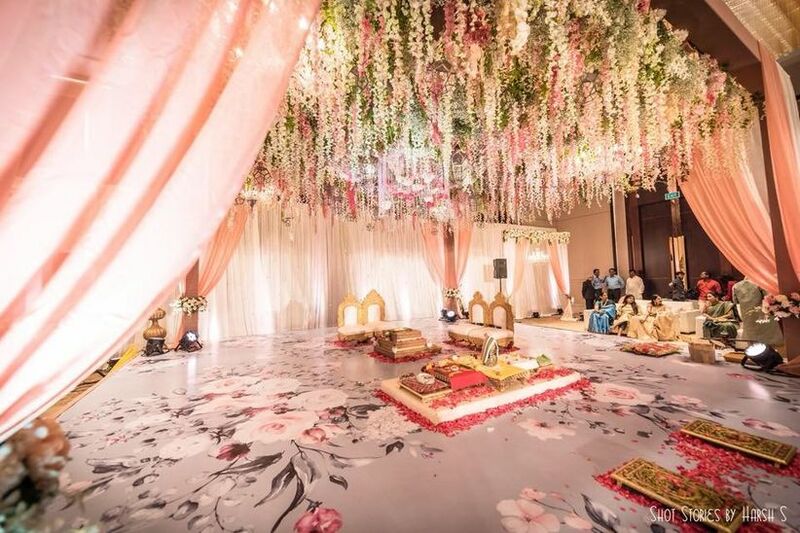 This indoor wedding mandap decoration with flowers is created with a unique use of drapes and flowers; even the floor spells floral charm. While this look has been created with white and pink roses, carnations and fresh leaves, you can opt for hyacinths, Polianthes tuberoses and freesias as well. 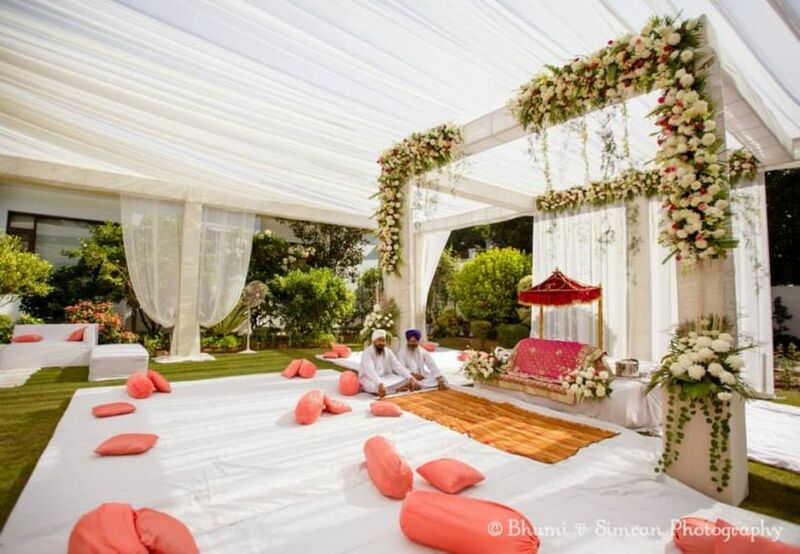 Minimalist and traditional, this wedding mandap decoration with flowers is stunning beyond words. 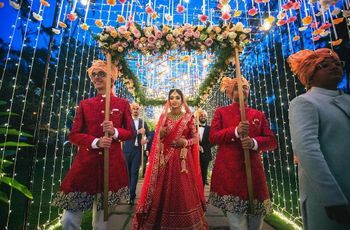 Created with red roses and white marigolds and mixed with Indian wedding elements such as Kalire and (wedding) bells, it definitely manages to catch everyone's fancy. You can also use blush peonies with Kalire, bangles and drapes for an accentuated ethnic vibe. If you are Bohemian at heart, don't miss this refreshing and off-beat minimalist wedding mandap decoration with flowers. Even though it is not rich in elements, it is perfect for day time and especially beach weddings. With ample use of white sunflowers, this mandap evokes a chilled-out romantic aura. Yellow sunflowers, white marigolds, gypsophilas, gerberas, white daisies are also perfect for such mandaps. Peaceful, soft and mild pastel colours help add perfection to weddings. The effective use of drapes and lights, along with pastel flowers, works best for spring/summer as well as day weddings. We see the extensive use of lisianthus, chrysanthemums, carnations but sweet peas, anemones, hydrangeas and pastel roses are also excellent options. Elegant and romantic, peacock-inspired installations at weddings always catch attention. 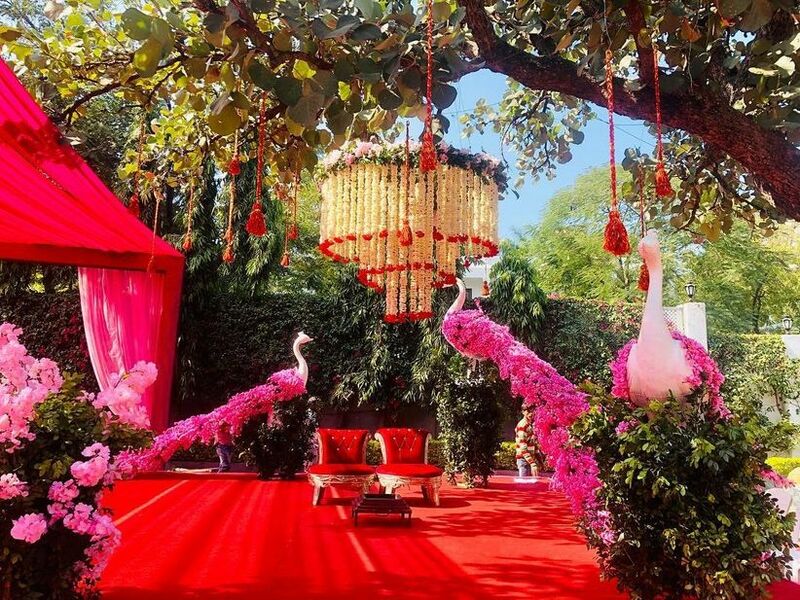 For a couple that loves to stay close to nature, this mandap style is perfect; white marigolds, red roses and orchids have ornated this garden to create a lush green mandap with pink accents. To add your unique touch you may pick lily of the valley, pastel roses, peonies and chrysanthemums. 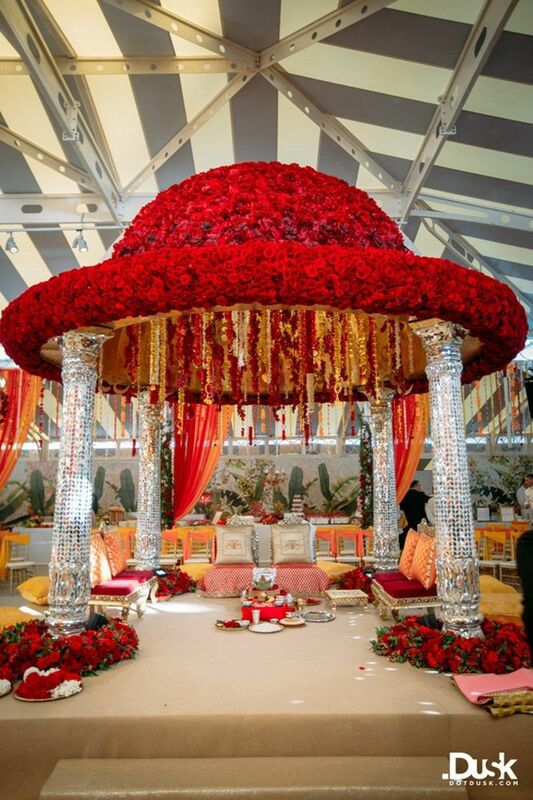 Red roses are the perfect pick if you crave to create a quintessential passionate Indian wedding mandap. The decorator has used white as well as yellow marigold flowers along with red roses. 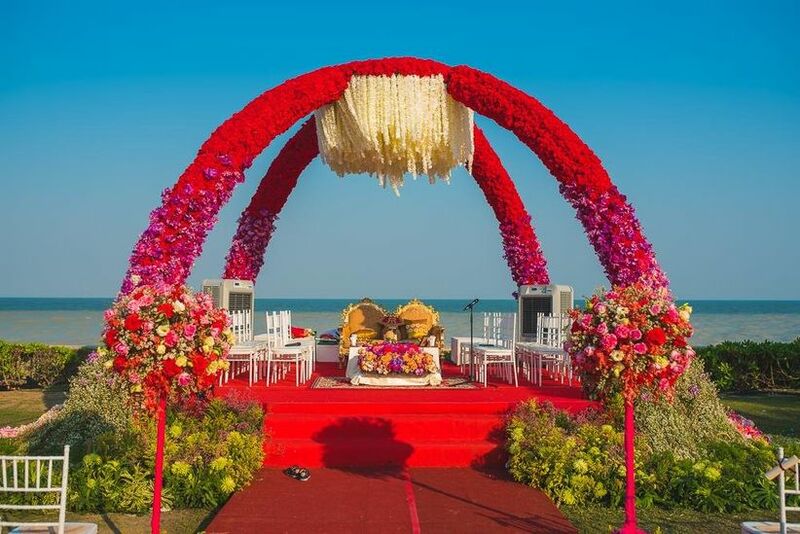 The canopy style wedding mandap decoration with flowers is loaded with fragrant red roses and the silver pillars are adding a touch of modernity. 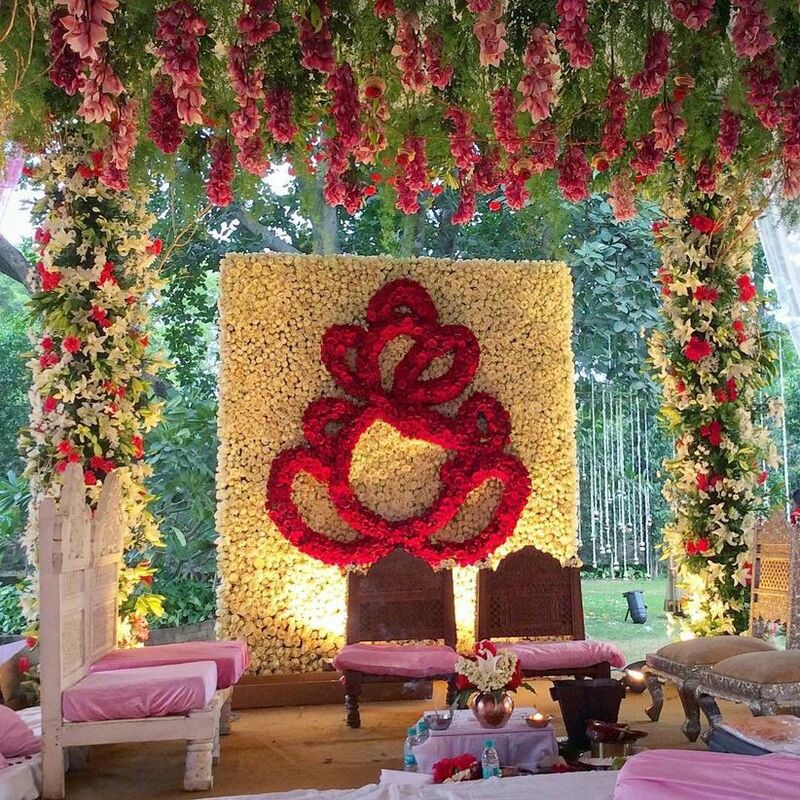 Chrysanthemums, lush green leaves and red rose buds are increasing the beauty of this soothing wedding mandap, created for a daytime ceremony. If you’re planning to create a similar look, don’t forget to give small white marigolds, Rajnigandha, baby's breath and white tulips a try. Mandaps embellished with various floral elements can leave anyone mesmerised. They not only add a romantic touch to weddings but help create a scenic appeal in your pictures as well. If you’re yet to finalise the look of your wedding mandap and flowers appeal to you, we’re sure you’d love to pick one of these looks. Don’t forget to tell us which one you're going to pick for your fragrant-ever-after.